Roane Publishing has launched another short story anthology into the world. I love these things. You might recall that my first published fiction appeared in one such anthology in February of 2015. I’ve been with Roane for three years and have never regretted a day of it. Odds are good none of the authors who’re dropping in for a quick visit today are sorry about submitting their work to a small indie house rather than chasing a literary agent or a big house. Since ONE SWEET MORNING brims with romances set in spring, we’ll be discussing that season of new life with the four ladies with stories in this collection. For the record, my favorite thing is the return to green and the blooming of flowers, sure, but more importantly that SUMMER will soon be here. What is my favorite thing about springtime? For me. it’s the Sun returning it’s warm rays back to me after a dreary winter. (Yes, I’m one of those people that hate the winter! Well, except for the holidays, which I totally love!) I love warm gentle breezes, the scent of flowers invading my senses! It’s pure joy for me! Spring to me means a fresh start, hope for something new and exciting! In my story, “Spring into Action”, my heroine,Tamara Goode hopes for good things as she start’s a new chapter in her life. As the saying goes… Spring hopes Eternal! ME: I also love sunshine, Theresa! Spring is such a great time of year. It’s when the promise of new life and new beginnings takes hold, and winter begins to fade in the rear view mirror. I grew up in Boston, so when Roane wanted spring romance stories it was a natural fit to set my story in Boston. I always loved when April rolled around when I was growing up. We were finally were able to think about warmer weather and no more snowfall. By that time I was good and sick of the snow! By that time fifty degree weather called for t-shirts and shorts. I love the promise of spring, when the snowbanks recede and the landscape is revealed again, just as people are revealed, scrapping their heavy layers for lighter clothing, and lighter moods. In my story I talk about the swan boats, and that was one of my favorite memories throughout my time in Boston. They were like a rite of passage. When the swan boats started, you knew that the city had moved into spring mode, and warmer days were coming. ME: I shivered when you said fifty-degree weather called for t-shirts and shorts. It will have to be 65 or warmer before I bare my arms and legs to goosebumps. My favourite thing about springtime is that it’s a time of new beginnings. The natural world is waking up and starting over, and all that positive energy can give one the courage to take a chance on something new, or get rid of something that isn’t right. In ‘Only The Heart Knows’ Maddie has chosen springtime for her new beginning, but when things change it takes courage to make the right choice. ME: Something about sunshine gives me courage, too. I grew up in the Pacific Northwest where it stayed green all year. Then I moved to DC area and got to experience the full effect of four seasons–how gray and bare winter can be. So the best part of spring is seeing the grass turning green again, the crocuses blooming, the trees leafing out, and the daffodils and other spring flowers exploding. Spring lasts a hot minute here. We usually go from winter to summer with maybe a week of spring, but still, I love it. ME: I’d heard that about spring lasting a week or less in DC, but the cherry blossoms are lovely. To grab your copy of ONE SWEET MORNING, click here or on the cover image above. These authors and the indie publisher who believes in them appreciate your willingness to support them. Check out the rest of the posts for this release by clicking below. Happy book birthday to the authors of One Sweet Morning! the end of the summer and even the cutest guy she has seen in forever wasn’t going to derail that. However she quickly finds that Graham calls to her as no other guy has ever done. She also finds that that he has a secret just as she does—he’s afraid of water. Riley, a lifelong rower, is shocked by the revelation but it does not dim her attraction. After all, she is leaving so what difference does it make? However, as they get closer she finds it harder and harder to imagine leaving both the city and the man at the end of the summer. What seemed so far away at the beginning of spring now looms in front of her and the reality of leaving everything she loves tears at her. When near tragedy forces both of them to face their deepest secret will the truth pull them together or tear them apart once and for all? Chris and Kirk have always had chemistry, but he was with someone, and then Chris moved across the country for a better position in the company they both work for. Five years later, she’s happy in her job and recently single, having broken up with someone rather than be in a relationship without any kind of spark. She’s resigned to waiting for the right guy rather than settling. Enter Kirk, recently transferred and also recently broken up with his girlfriend. He’s interested in Chris, and she’s interested back, but his break with his girlfriend was sudden and his move across the country even more so. He may say it’s over, but his ex didn’t get the memo, and Chris suspects Kirk may need closure before he can move on. She wants to believe in him—he’s always been honest with Chris and faithful to his girlfriend—and in what they could have together. Their chemistry is still there but it’s not just desire: she really likes this guy. But is she a fool to wait for something that may never be? Especially when her big sister is urging her to give the man she broke up with another chance before he finds someone else. One dark spring morning, the man that Maddie loved was swept away in a tragic accident that left her alone and pregnant on their wedding day. Exactly three years later she has built a new life with Troy, her best friend from childhood, and the sun is shining as she sets off down the aisle for a second chance at happiness. But before she reaches the altar her plans and her heart are thrown into disarray by Jack’s well-timed return, re-igniting all the feelings she thought were dead and gone. Like him. Can she forgive Jack for the lies that left her broken three years before? Or should she trust Troy and his promises, when he may not have been entirely honest with her either? Only her heart knows the truth. personal assistant to the handsome TV reality show star, Joe Campo. Fighting her attraction for him is a losing battle, for how could such a man possibly fall in love with a Rubenesque woman when model-types fall at his feet? As a celebrity, Joe Campo has money and beautiful women clamoring for his attention, but he secretly fears losing himself to a shallow existence. Enter his new, competent assistant who seems to read his soul and understand his struggle to become a better person. Joe’s attraction for Tamara grows and he hopes love will spring into action, but will her shyness and insecurity keep her from recognizing the connection between them? Veronica Shay was born in my imagination more than two years ago. Today, the final installment of her love story hits the shelves of digital bookstores everywhere. It’s bittersweet for me. I rejoice in the birth of another book into the wide world (and hopefully into the hands, heads and hearts of hundreds of readers). But it’s also a goodbye. If you’ve been following Ronnie and Marcus’ romance, grab your copy of the final chapter now. Maybe you’re new to the world of Sharon Hughson. Let me introduce you to my friend (and ofttimes nemesis) Veronica Shay. She had a little problem at her sister’s wedding (now that’s a story no one has read…and I have a surprise for you) and it sent her straight to Virtual Match. Anything to stop the well-meaning set-ups and continual nagging of her family—especially her mother. You can read all about that in Reality Meets its Match. Of course, it wouldn’t be much of a romance if Ronnie kept her Virtual Match at arm’s length. Things get real for her and Marcus in Reality Bites. And if the title doesn’t give you a clue, I can tell you reality slams Marcus and Ronnie hard in the second installment. Grab your copy of Reality Bites now. If you’re still not sure whether this series is for you, here’s an exclusive sneak peek inside the final chapter. Marcus pulled Ronnie against his side, and she nestled under his arm like a kitten seeking warmth. His hand squeezed her waist while his chin tapped the top of her head. “Thanks for coming.” Her voice was hushed, as if a normal tone might wake the babies. An independent part of her raised its back at what sounded like overbearing words. Ronnie shoved the ire away. Marcus wanted to take care of her in the same way she wanted to take care of her brother. Movement beyond the second nursery caught her eye. A dark-haired man stood up, his face covered by a mask and body engulfed in a yellow paper gown: her brother. He spoke with a nurse before walking out of sight. Ronnie scanned for an exit, shuffling toward the nurse’s station visible through the nursery’s glass wall. She drew slightly away from Marcus, preparing to be strong for Tony. Her brother was discarding the paper robe and mask when she rounded the corner. He swiveled toward her with military precision and wrapped her in his arms. “How is Jen?” Ronnie pulled away slightly and watched his face for tells. Dark circles smudged his eyes and wrinkles drew his mouth into a firm line. Ronnie had been reading about placenta previa and the related side effects during the flight. About five percent of women needed a hysterectomy to staunch the blood flow associated with the misplaced placenta. As much as Tony wanted to father a son, it would have been heartbreaking for them if this was their only child. A girl. This tiny one didn’t know how lucky she was to have a loving, protective father watching over her. A tug in her chest distracted. Was she wishing for a father? The one who sired her had walked away, and the replacement her mother chose had done unspeakable things. She shook her head, tucking a strand straying from her upswept hair behind her ear. That was old news. This was the future. “Are you ready to sleep?” Ronnie peered into the tired lines of his drawn face. The adrenaline she imagined fueling him all day had run out, but behind the hazel eyes like hers, she saw anxiety, and she’d been reading those eyes for three decades. Ronnie wasn’t sure if it would help him, but anything had to be better than sitting in a hospital room. Marcus squeezed her waist. Ronnie glanced up at him, breath catching at the tender look in his cobalt eyes. “I’ll book a nearby hotel.” It was the one thing he hadn’t done in advance since they might have stayed at the hospital with her brother. Marcus wouldn’t expect to share a room with her and understood she wanted to pay her own way. Ronnie rose on her toes and nearly touched his ear with her lips. His indrawn breath made her heart vault against her chest. His eyes widened. She pressed her lips to his in a perfunctory kiss then turned to thread her arm through Tony’s. “There’s a waiting room down that hall.” Tony gestured to the opposite side of the nurse’s station. As he navigated the maze of halls to another bank of elevators, Ronnie fell into step with her brother. On the ground floor, he led her into a walled-in garden. Their shoes thumped against the paved path around the edge. Minutes passed in silence, and she drew a deep breath of temperate air, so different than the chill moist air near her apartment. The holidays? It was nearly three weeks until Christmas. Ronnie shook her head and drew a breath to comment. Ronnie hugged his arm. The firm bicep bulged beneath her fingers, reminding her of Marcus’s very un-engineer-like arms. She pushed thoughts of him away. He was a distraction, and she needed to focus on her family. Hadn’t she told him as much on Sunday? If she could shake her mother right now, Ronnie would do it. Couldn’t she see that Tony needed encouragement? Obviously, this terminal illness was going to exacerbate her mother’s self-centered tendencies. “How can I help?” Please don’t say handle, Mom. But, she would do it if that’s what he needed. Ronnie’s stomach nosedived into her feet. The truth was too much of a burden for her brother, which is why she had kept her secret for so long. His ragged breaths did nothing to cool Ronnie’s flaming cheeks. If she could go back, she wouldn’t tell him anything. STILL not sure if this series is for you? Check out this review of Reality Ever After. And of course there’s a giveaway. Remember how I mentioned Ronnie’s sister’s wedding? Well, I’ve written a short story recounting that delightful event. If you want to read it, FIRST sign up for my newsletter. Once you’re a subscriber, drop me a quick email (info at sharonleehughson dot com) to say you’ve subscribed and you would LOVE to see how Ronnie was driven to the desperate place of hiring an invisible boyfriend. I hope to hear from you very soon! Today, I’m jitterbugging all over my office. It’s an exciting day for me, and I hope you’ll join the fun. Who doesn’t love happily ever after? Yes, I’ve had the signed contract for some time. I probably already mentioned this news to my faithful Facebook followers. However, I wasn’t authorized to share specifics–until today. So let’s start with the gorgeous cover. Happily ever after collides with reality to make or break their love. Systems architect Marcus Jordan proclaims his love for career girl Veronica Shay, but life keeps hurling obstacles into their relationship. When Ronnie’s niece is born prematurely, Ronnie rushes to be the big sister Tony needs, knowing she is to blame for his fear of failing at fatherhood. Marcus decides to help put their daddy issues to rest, but his discovery sends Ronnie into a tailspin. Ronnie already knows trusting men risks her heart and stability. Why would she want to meet the first man who rejected her? An even bigger secret about Ronnie’s father convinces Ronnie to give him one chance to explain, never knowing it will bring her face to face with the true source of her trust issues. Will the revelation come too late to restore the happiness she’d found with Marcus? Now comes the part where you get to show your excitement. As always, there will be a week of promotional posts when the book releases. And I need your help. If you have a Twitter account, or a Facebook profile or a blog, would you be willing to Tweet or post about the release on January 22? If so, please click on this link. It will take you to my publisher’s official promotional tour page. Fill it out so you can get all the goodies needed to build your post for the BIG release. Or maybe you know a book blogger? Or another romance author? I hope you believe in my writing enough that you could forward this link to those people, asking if they would support an independent author whose trying to get the word out. As always, there will be a giveaway associated with the release, and I’ll make sure to pass along those juicy details as they become available. 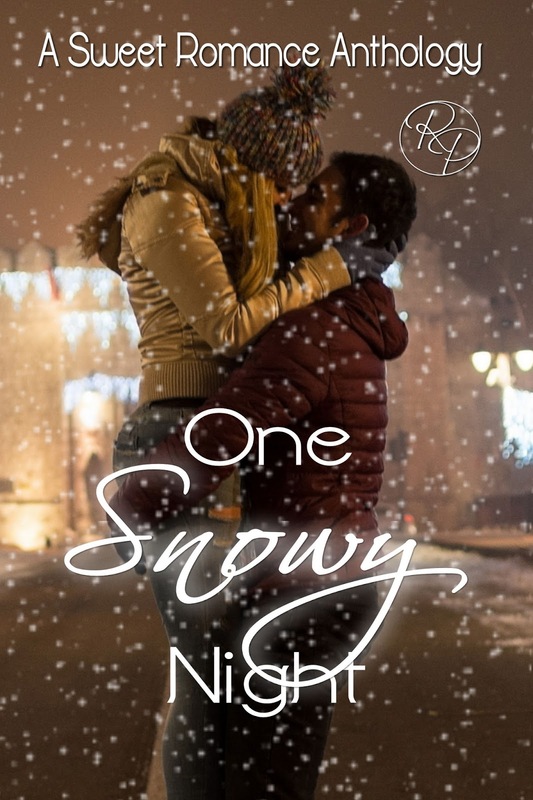 To make sure you get all the details, special sneak previews and special access to review copies and giveaways, click here and I’ll send you a FREE romance to tide you over while you’re waiting. You haven’t started this series yet? Why not check out the first book, Reality Meets its Match now? Now to dance a little over my real life happily-ever-after.